Calypso (Hardcover) | Fountain Bookstore, Inc. If there is a "King of Audiobooks", it has to be David Sedaris. 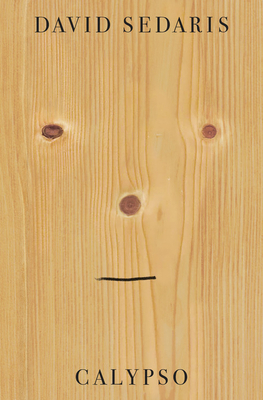 The absolute best way to enjoy the writing of Sedaris is to hear him perform it. Not only is his voice rather odd, immediately putting you in a mood to giggle, but he is such an effortless performer it's impossible not to get caught up in his world. And what a world! In his latest, and indisputably most accomplished, work to date, he takes us on his journey through midlife: the betrayals of the body, the loss, the wear and tear on long relationships. I found myself shedding tears for his heartbreaking regrets and laughing so hard I had to pull my car over at his observances of the absurdities of everyday life.